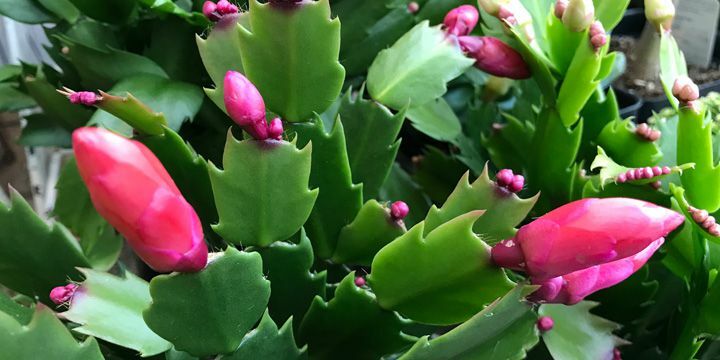 Just when color begins to disappear from the landscape, the beautiful blooms of Christmas Cactus arrive! Shorter daylight hours and cooler temps actually induce blooming. Water the soil when it begins to feel dry, only enough to keep the leaves from shriveling. Overwatering, insufficient light or relocating during bud development can cause buds to drop. The Christmas Cactus is easy to grow and makes a lovely addition to any home. Lemon Cypress Cone trees grown as houseplants also like cool indoor temperatures. A window with good sunlight is preferred, and turning the plant will help keep its uniform shape. Water when the soil is dry to the touch. Feel free to prune new growth if you want it to keep its juvenile form. 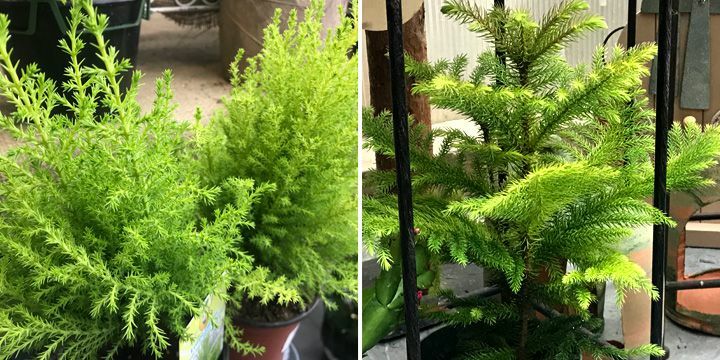 Norfolk Pine does well with a few hours of direct sunlight and rotating for even light distribution, too. Water when the soil is dry, making sure excess water drains from the bottom. Norfolk Pines like humidity. One way to increase humidity near the plant is to place a tray of river pebbles under the pine, filling the tray with water. As the water evaporates, it will increase the humidity. 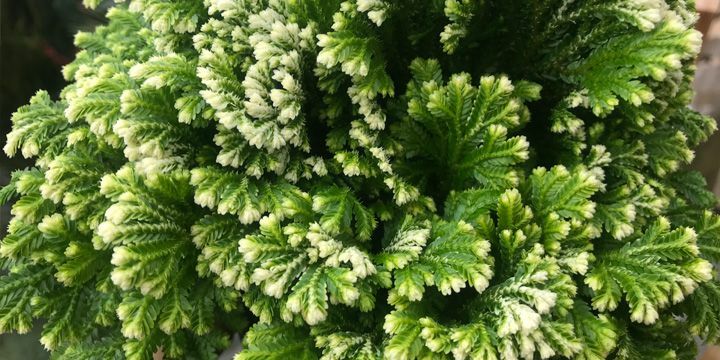 Selaginella is known as the Frosty Fern, with its lacy, creamy white new growth giving it a frosted appearance. Adding a bit of color to bathrooms and kitchens, this easy to care for fern likes humid, low sun, cool places. Holiday décor gets festive with the poinsettia. This beautiful flower is actually a tropical plant that loves sunlight away from drafts and cold windows. Water when the soil feels dry, and keep it well drained. Like the Norfolk Pine, Poinsettias do well with more humidity. A tray of gravel underneath or a plant mister will help keep it hydrated. These little 2" mini pots come in an assortment of colors and different pots and are just about the cutest thing we've seen. Bring the beautiful colors of the outdoors into every home this holiday. 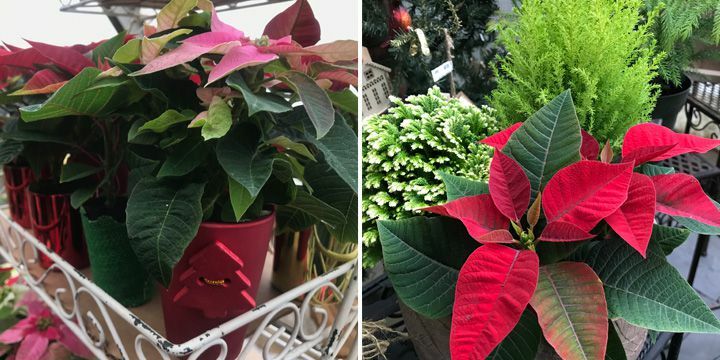 Plants make wonderful presents for hosts and gift exchanges. They add life, texture, and color to every decor, including your own!